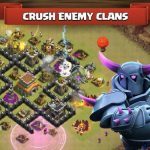 In our previous Clash of Clans strategy guide, we talked about some of the defensive structures and weapons you can use in Supercell’s massively popular MMO title. Now, we’re going to go ahead and provide you the second part of Clash of Clans guide about defensive buildings and weapons. Air Defense Towers are leveled up fully by Level 8, and they, of course, take out air units exclusively. And when we say exclusively, we mean they won’t be able to take out any kind of ground units. However, they can only take out one unit at a time, which sort of balances out their high output and range statistics. In terms of placement, it would be the most ideal to place them behind Cannons and Archer Towers. Inferno Towers need to be refilled with Dark Elixir regularly, but despite this inconvenience, they can be very deadly, spitting out flames against air units one target at a time. You can level them up to Level 3, and place them near important structures. 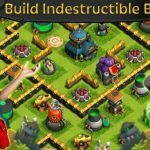 You should, however, defend them securely by placing them next to other defensive structures and weapons. Mortars get leveled up fully by Level 8, and once they’re at full strength, they can be very deadly, dealing out splash damage within the target area and firing every five seconds or so. While they’re very effective against ground units, they’re totally useless against air units. Place them at the center of your base, with a few behind some of your walls. Traps are best placed near your walls and re-armed quickly, regardless of what type they are – general bombs, spring traps, air bombs, or whatnot. These traps, however, must be upgraded individually, but not as a group. Wizard Towers are most effective when leveled up to Level 8, and deal splash damage against air and ground units. Surround your Town Hall with a few of these towers, and back them up with a few Mortars as well. 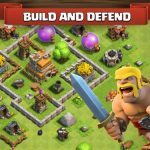 Last, but not definitely not the least, we shall tell you about the most basic kind of defensive structure in Clash of Clans. Walls should be constructed without any gaps in them, so as to prevent enemies from traipsing into your village like nobody’s business, and should be constructed with two or three layers, in order to make it harder for enemy troops to barge in.